“I gave myself permission – thanks to being a part of this group ,” said Stephanie. 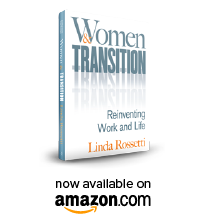 She was crediting a multi-session working group that I put together to help me develop a workbook, a companion to my book, Women & Transition. Over the course of our sessions together we learned that Stephanie had been laid off a year earlier from her job as a research and development manager for a tech behemoth, a job that she’d held in some form or another for almost twenty years. We also learned that our work together helped her dignify a small voice in her head that kept leading her away from R&D and tech. She was excited and scared about her new path. I was really struck by her words. I felt as if she and I were in the same place. How could this be? My transition is farther down the garden path than hers. Isn’t it? What was it about permission that spoke to me?